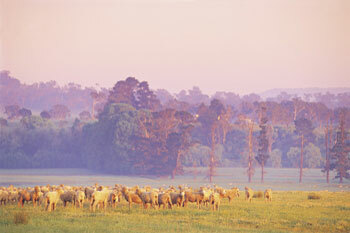 • The city is situated on the Brisbane River and surrounded by misty blue hills. 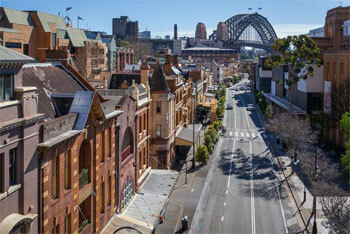 • China Town in Fortitude Valley was part of the movie set in Jackie Chan's movie Jackie Chan's First Strike. • North Stradbroke Island and Moreton Island are the second and third-largest sand islands in the world. • Brisbane is known as “Brizzie” to the locals. 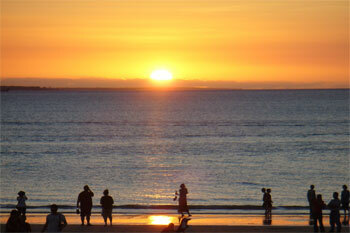 • In 2013 Brisbane has 283 days of sunshine a year. • The world's first cultivated Macadamia tree lives in the City Botanic Gardens. • Surveyor General John Oxley named the river Governor of New South Wales – Thomas Brisbane – in 1823. • Brisbane is a city in Queensland, Australia. • Brisbane - North Stradbroke Island and Moreton Island are the second and third-largest sand islands in the world.North Stradbroke Island is known for some of the most spectacular scenery found anywhere in Australia. Tip: Go whale watching from Point Lookout, the best land-based whale-watching site in the world. Moreton Island is home to adventure with a diverse range of exciting activities and wildlife experiences to enjoy. Tip: Try hand-feeding wild dolphins, snorkelling the shipwrecks in the pristine waters or toboggan the sand hills of the island. • Brisbane - Visit Brisbane's islands Brisbane's coastline is dotted with idyllic islands. Moreton Island, just a 70 minute ferry ride from Brisbane, is the third largest sand island in the world, yet fewer than 100 residents call the island home. Most of the island is National Park , creating a blissful paradise of sandy beaches, bush and lagoons. Moreton Island is also home to the famous Tangalooma Wrecks, popular for diving and snorkelling. North Stradbroke Island (affectionately known as “Straddie” to the locals) is another fantastic holiday destination and is just a 40 minute ferry ride from the bayside town of Cleveland. There are three villages on the island – Dunwich, Amity and Point Lookout – fringed by magnificent surf beaches, calm blue bays and tranquil lakes. Explore the island by bicycle, stopping at Point Lookout to spot migrating whales between June and October. • Brisbane - Sleep in a luxury wilderness camp Spend a night under the stars at Nightfall Wilderness Camp, just 90 minutes south of Brisbane. The camp is limited to six adults at any one time, and visitors sleep in luxury safari tents kitted out with fireplaces and vintage baths. Dine on fire-cooked organic cuisine, or use your tent's camp kitchen and private barbecue. The camp is next to World Heritage-listed Lamington National Park , giving guests access to lush rainforest, waterfalls and walking trails. • Noosa - Noosa is an Australian resort area on southern Queensland’s Sunshine Coast. Known for its heavy surf, Sunshine Beach is backed by cafes and boutiques. A coastal trail runs north past the beaches of Noosa National Park , home to koalas around Tea Tree Bay. South of the Noosa Everglades, kayaks and sailboats dot the waters of Lake Cootharaba. Inland, Lake MacDonald has the Noosa Botanic Gardens, plus an amphitheatre. • Surfers Paradise - Surfers Paradise is a seaside resort on Queensland's Gold Coast in eastern Australia. It's known for its high-rise skyline and Surfers Paradise Beach, which hosts a popular market several evenings a week. Along Cavill Avenue are shops, cafes and lively nightclubs. The towering Q1 building, with its SkyPoint observation deck, offers panoramic ocean and city views. • Sunshine Coast - The Sunshine Coast encompasses beach resorts, surf spots and rural hinterland in southern Queensland, Australia. It stretches from the coastal city of Caloundra, near Brisbane, north to the Cooloola section of the Great Sandy National Park , home to multicoloured sand dunes, mangrove forests, and shallow lakes. 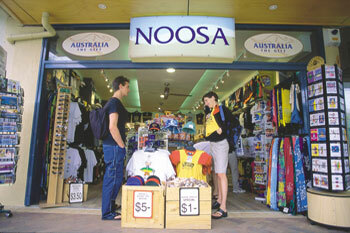 Upscale Noosa Heads has boutique shops, waterways, and walking trails through Noosa National Park . • Gold Coast - The Gold Coast is a metropolitan region south of Brisbane on Australia’s east coast. It's famed for its long sandy beaches, surfing spots and elaborate system of inland canals and waterways. It’s also home to theme parks such as Dreamworld, Sea World and Wet’n’Wild. Inland, hiking trails crisscross Lamington National Park’s mountain ridges and valleys, home to rare birds and rainforest. • Wishing to complete your travel plan and needing to book a 4wd camper, motorhome or campervan in Brisbane then Get a instant quote now as our database is easy to navigate, easy to use and safe automated online booking engine. When it comes to renting a 4wd camper, 4wd car and 4wd with camping gear in Broome or say a capital state city then there's one brand you can truly trust.